Savannah Chrisley is an American reality TV star who can accurately be described as a beauty with brain. Savannah is known as the daughter of American millionaire Todd Chrisley and is also popular for her part in the reality TV show Chrisley Knows Best where she appears along with other family members. She has also taken part in a few beauty pageants and is a former participant of the Miss Tennessee Teen UNS in 2015. What is Savannah Chrisley Famous for? An American beauty pageant contestant and television personality. Her appearance on the USA Network reality show, Chrisley Knows Best. The daughter of American millionaire Todd Chrisley. 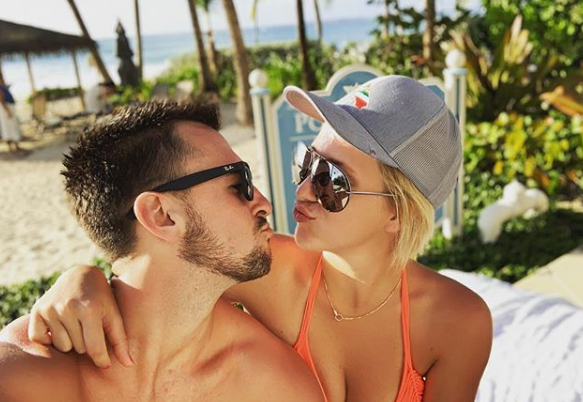 Is Savannah Chrisley Engaged to Nic Kerdiles? 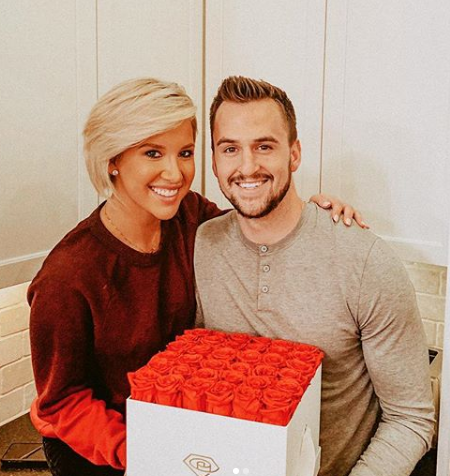 The Chrisley Knows Best and Growing Up Chrisley star's boyfriend, pro hockey player Nic Kerdiles, proposed to her in December, on Christmas Eve, it was revealed on Wednesday. The two had met on Instagram and have been dating since November 2017. Nic, who plays for the Winnipeg Jets, popped the question in front of her friends and family in Nashville and also asked her dad Todd Chrisley for permission, via FaceTime, beforehand, People reported. "My dad said he was so nervous when he FaceTimed him, that he asked my dad for his hand in marriage!" she told the magazine. 'And my dad was like, 'You may want to re-ask that question.' He was like, 'Do you want my daughter's hand in marriage or my hand in marriage?' Nic hung up the phone and called back, and then asked him the right way. And it was just so funny. My dad said he was so nervous." Nic proposed with a 5-carat radiant brilliant cut diamond ring on a band of 18 round brilliant cut diamonds, designed by Dror Flantzman in Nashville. Savannah told People her mother, Julie Chrisley, picked it out. Savannah also said she and Nic are in no rush to tie the knot. "We're kind of just taking our time," she said. "We know that we want to spend the rest of our life with each other." who is Savannah Chrisley Boyfriend Nic Kerdiles? Where is Savannah Chrisley grew up? 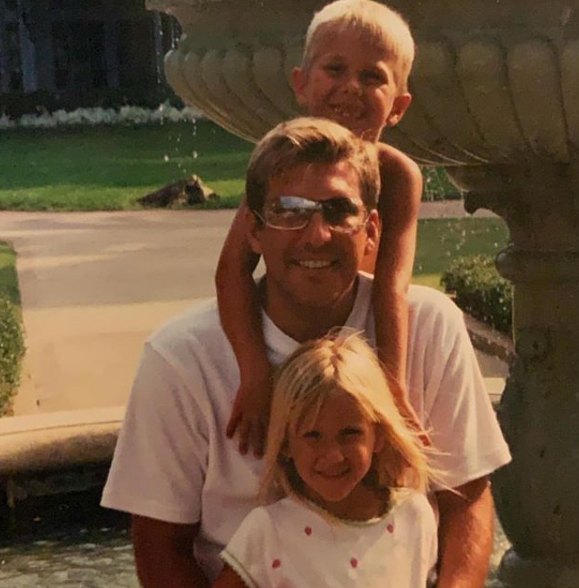 Back to her early life, Savannah Chrisley was born in Atlanta, Georgia, to Todd Chrisley, father, and Julie Chrisley, mother. Her both father and mother are television personality who runs an American television series, Chrisley Knows Best. She has four siblings Chase, Grayson, Kyle, and Lindsie Chrisley. Savannah holds an American nationality and belongs to white ethnicity. Regarding her education, Chrisley's first attended at the Lipscomb University but she was later transferred to Belmont College. Being a daughter of television personality, Todd Chrisley, she also decided to follow the steps of her father. When did Savannah pursue her career in TV field? She began her career as a reality TV star from their family show Chrisley Knows Best since the very first episode which was aired on March 11, 2014. She has been a regular member of the cast throughout four seasons. Till now, she has played in many other TV series such as The View, Today; Steve Harvey, and The Real among others. Besides reality show, she is also a film actress who debuted in the big screen with a 2016 movie Sharknado: The 4th Awakens. Savannah is also a model who participated in several beauty pageants and also won some of them. She gained popularity after she took part in the Miss Tennessee Teen in 2015. She also shared her makeup and style regime with the public during her participation in the pageants where she also befriended some models including Miss Nevada Chrissa Morrow. Savannah Chrisley is also famous in social media and news media platform. As of February 2019, she has about 1.7m followers on her Instagram. She frequently shares her personal life with her fans through her social media. What Makes Savannah Chrisley So Special? According to Savannah Chrisley, she spends half an hour every morning catching up on social media and interacting with her fans. She is very famous among her followers as an inspiration and a positive role model. Her fans love her for her humility and honesty. After being crowned Miss Tennessee Teen USA, she acted like a beauty queen by admiring her competitors, saying any of them was competent enough to win the crown. Likewise, after losing the Miss Teen USA pageant, she thanked everyone for whatever she has achieved and boasted of the friendship she developed with Miss Nevada, Chrissa Morrow. Even a celebrity makes mistakes; however, Savannah, when she does something wrong, is quick enough to correct it. Once when she got involved in a Twitter controversy after being frustrated over some incident in her personal life, she not only apologized to her fans but also urged them to learn from her mistakes. Apart from being a beautiful and brilliant girl who follows her dreams, she helps raise awareness against domestic violence and encourages young women to believe in themselves. Once she was so over conscious about her looks that she never went out without makeup. Now, however, she tells young women to 'feel' beautiful, saying, "no amount of makeup will make you beautiful". Who is Savannah Chrisley Dating? 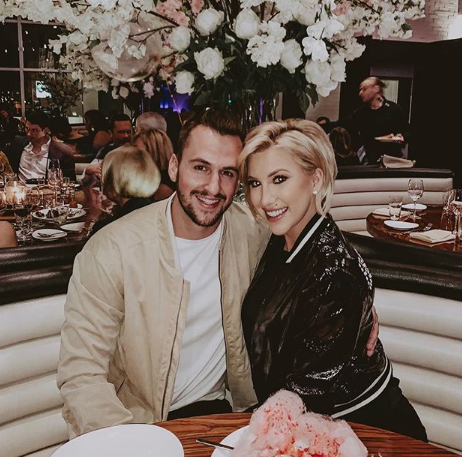 Reflecting her personal life, Savannah Chrisley is dating an ice-hockey player, Nic Kerdiles. The couple started dating each other since November 2017. According to a recent update, The pair engaged. Prior to Kerdiles, Savannah dated several renowned personalities including Blair Hanks, Chandler Parsons, and Luke Kennard. However, their relationship only lived for a short duration of time. Currently, she is living a happy life with her fiancee, Nic Kerdiles. The couple often visits different places and post their pictures on their Instagram accounts. In fact, Savannah's father Todd Chrisley is also happy with their relationship. Apart from their relationship, Chrisley and her boyfriend have kept themselves in extra affairs. It seems that the couple is planning to take their relationship to the next level. How much is Savannah Chrisley worth? Allocating information from several sources as of 2019, it is found out that Savannah Chrisley's net worth is around $1 million. Savannah Chrisley makes a good sum of money from her career. More recently, she has not made any television appearances except her family show, Chrisley Knows Best. She might be working on her new project which might come up in the near future. How tall is Savannah Chrisley? Observing her body statistics, Savannah has an average body structure with decent height and weight matching her body. She stands a height of 5 feet 7 inch i.e. 1.7 m and weighs around 127 pounds i.e. 57 kg. She has an attractive physique of 32-24-32 inches with blond hair and blue color eye.